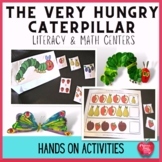 The Very Hungry Caterpillar Math and Literacy Unit contains 9 activities for students to complete. 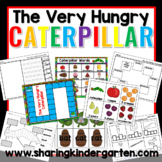 Each activity contains cards and response sheets. Literacy Activities: 1. Caterpillar Making Words- Students make words using the letters in "caterpillar." They write the words on the recording sheet.